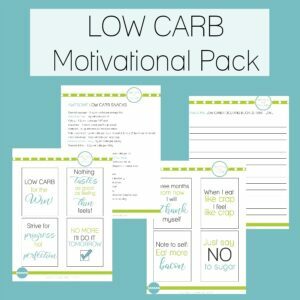 Treat your loved one to a special low carb Valentine’s breakfast! 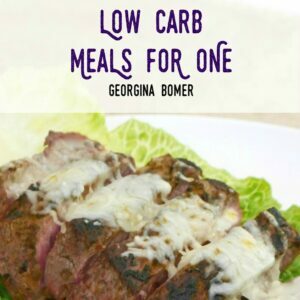 This special Valentine’s Day breakfast only contains 5g net carbs! 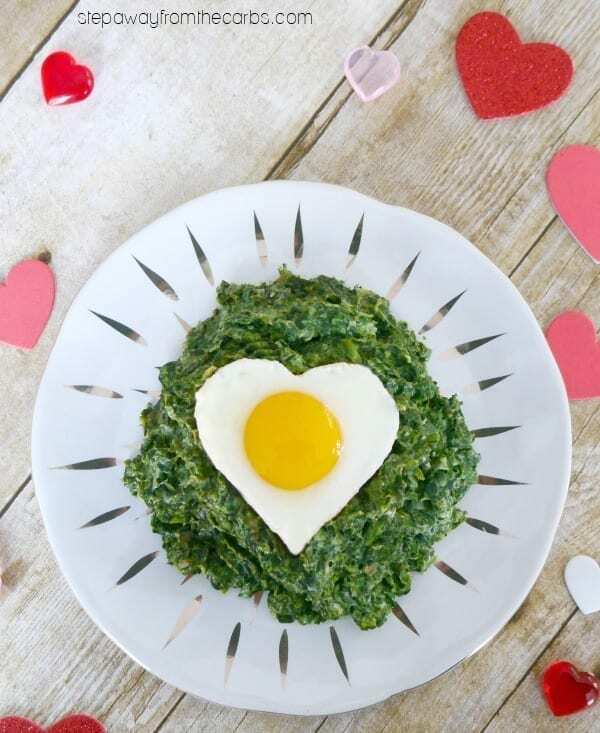 It’s a huge mound of luscious creamed spinach topped with a heart-shaped egg, and it’s way more filling than it looks! Your loved one will feel so special, and you get to enjoy it too! To make the creamed spinach, cook and drain a packet of frozen spinach (you can do this the night before if you want to save time). Add some cream cheese, heavy cream and water to a saucepan, and cook over a low heat until the cream cheese has melted. 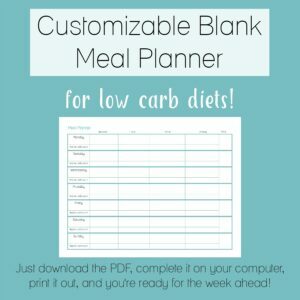 I would usually add garlic to creamed spinach if I was making it as a side dish – but I skip it for breakfast LOL! Add the drained spinach and shredded Parmesan, the season with salt and pepper. While the spinach warms through, cook the egg. Spray a metal heart shaped egg mold or cookie cutter with olive oil spray, and place in a non-stick skillet. Carefully crack an egg into the mold, pressing it down to the pan so that none of it escapes underneath. 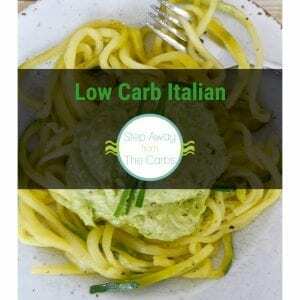 Cook gently until the egg white has cooked fully (you may like to place it under the broiler to make sure the top gets cooked without the underneath burning!). 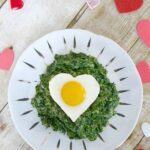 Transfer the spinach to a serving plate, then use a small spatula or knife to carefully ease the egg out of the mold, then slide it on top of the spinach. Add the drained spinach and shredded Parmesan, then season with salt and pepper. While the spinach warms through, cook the egg. 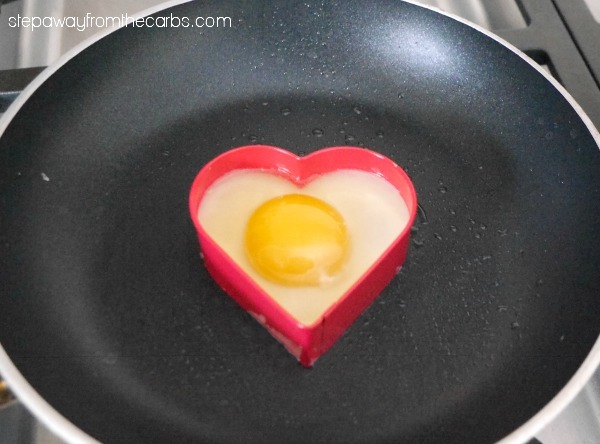 Spray a heart shaped mold with olive oil spray, and place in a non-stick skillet. Carefully crack an egg into the mold, pressing it down to the pan so that none of it escapes underneath. Cook gently until the egg white has cooked fully, using a broiler if necessary to cook the top. Transfer the spinach to a serving plate, then carefully slide the egg on top of the spinach.